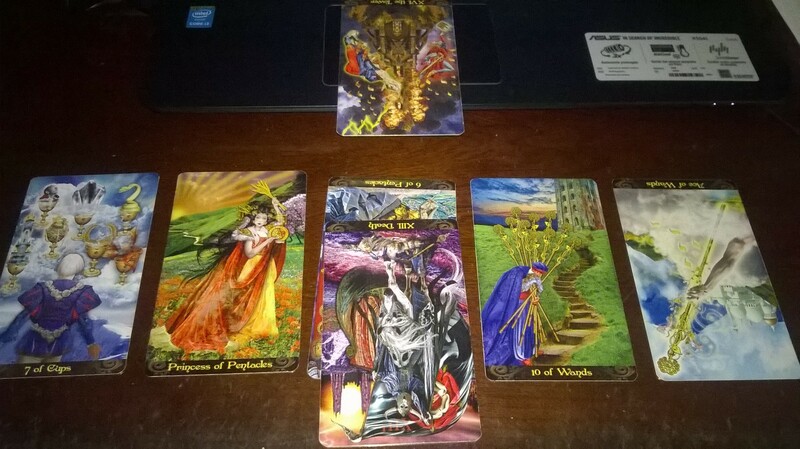 Here is your full reading on your relationship with your fiancee. You are represented by the King of Wands which may signify that in the relationship you may tend to be the dominant and pushy one. In the past you’ve created a new beginning together, that possibly your previous relationships before were not the same and this person is different from all the rest of them. And also looks like in the past you have been colder to other relationships or maybe slow to open up possibly from past relationships closing you off. I feel that with this person, you can open up even more and let your guard down. The past also shows that you may have been very emotional in relationships and your emotions dictate the actions. At the present time you are either both giving to each other, or giving to other people. You both have a good nature about you and I feel that blesses this relationship and bonds it even more with generosity with others. In the future the reading shows of a journey and to take the risk and go for it. It is a good journey with a happy ending and celebration. So this is a great sign when engaged! You are a good match together and complement each other very well it seems. Maybe they are like your best friend like you’ve known them already. Your action card is the Judgement card that calls on you to reflect and realize what you have. I don’t know if it’s the dominant pushy part that maybe you need to reflect on and that will make the partnership more harmonious, but I feel you do have a good person and very happy for you! As long as you have Respect, Communication and Love for each other you’ll both be very happy together! Congrats! There may be other areas in your life that you may need to drop, and I sense like a shedding of things that no longer serve you. It could be old feelings or experiences that keep you back, or certain things in your life, that you feel prevent you from moving forward. Something that you are preventing but must be done in order for you to grow. In the past, your head was in the clouds and made it difficult to see your options or the right path for you. You have recently embarked on a new journey. This is now a time to take risks and learn about yourself. One of the big lessons in your life is your generosity, as there seems to be a down side to your generosity that you are learning right now. Sometimes you have to say no, and when it doesn’t feel right, learn that it is OK to say no because that uneasy feeling is the guides telling you that you are not supposed to help that person or give money to them. I also feel like you carry burdens and sometimes other people’s problems you tend to carry them on your shoulders. Learn to know that those people have their own life lessons and is not yours. It could be the guilt from your past relationships affecting your children, or the issues of your children right now and carrying on that burden. This is not your lesson and everything was supposed to happen this way for them to learn something about themselves. You are meant to give them the life they had to learn this lesson. You may in the future be lacking direction in what you want in life. This is the time now to try out new things and experience different things to find out who you are and what you want in life or with a partner. I am given a trial and error like trying new clothes and seeing if they fit you. 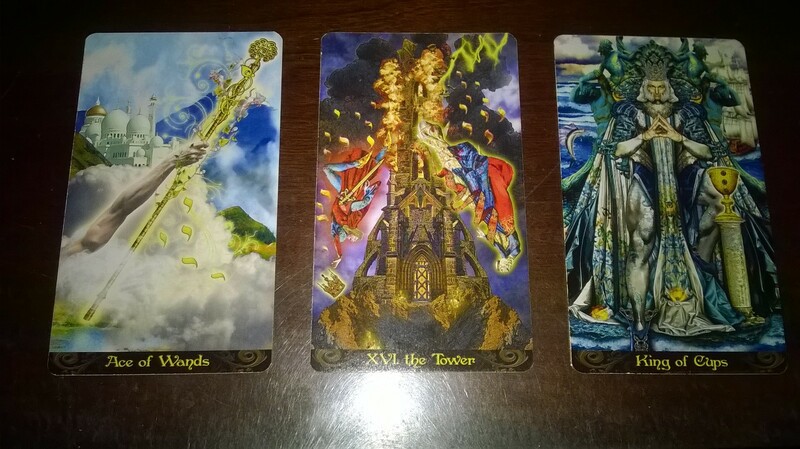 Your action card is telling you not to let your past hold you back, either with your family or your ex’s. This will help you break free the pattern of doing the same things again and I also feel you will start to be able to listen to your intuition more, and this will help give you direction. Finding new passion in your life. 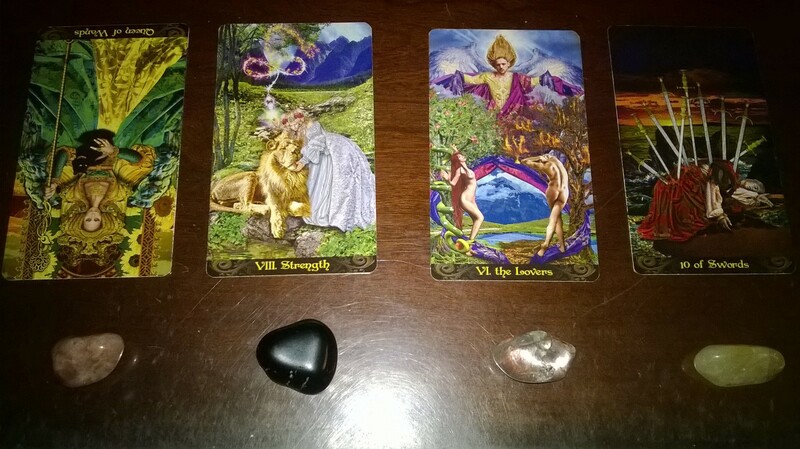 I hope this reading helps you get some clarity in your life! I thank our guides for their help in these messages. Hi Everyone! Trying this out to see if this helps any of you find clarity in your life. 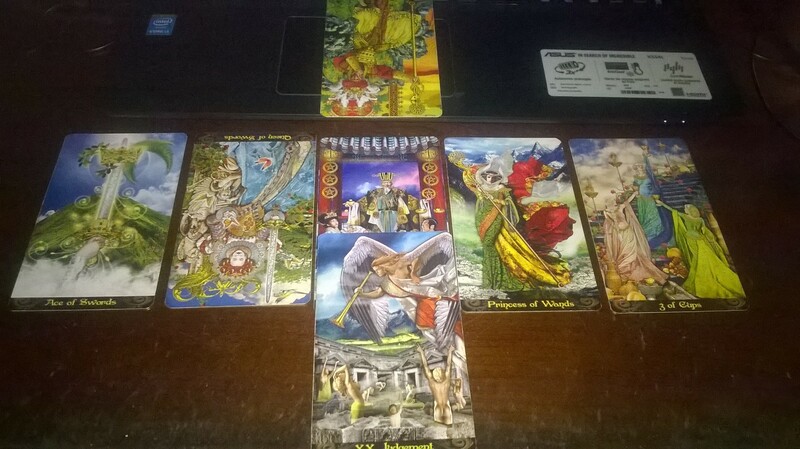 Please choose a card you are drawn to, and scroll down for your reading. I hope this will help you find clarity in the area in your life you are struggling with. You may have been investing in certain areas in your life that may not be giving you the return you are expecting. 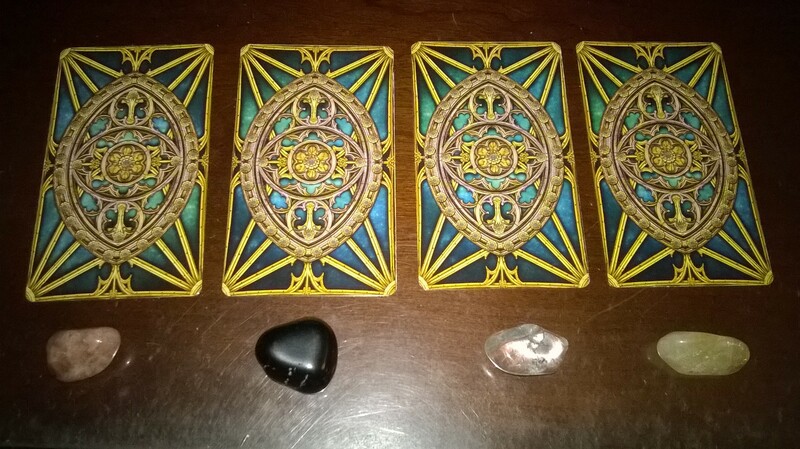 This is a time to reassess what you are investing in whether it be emotional or financial or time spent and see where things need to change or let go. This is a time of fertility that may imply pregnancy, or a birth as a symbol for new endeavors or new way of life or creation. This is the start of something good and to go for it! This card is also a symbol of motherhood to those who have children. This card represents either yourself or typically male figure in your life that may be manipulative or a high ego. 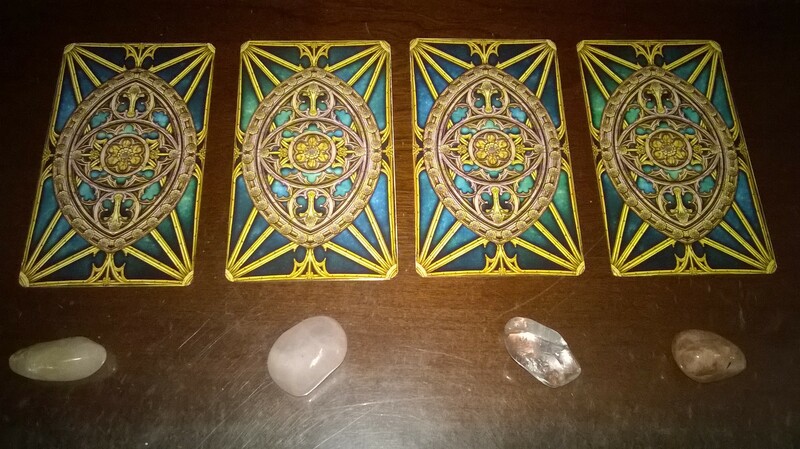 The reading suggests for you to look at these characteristics in yourself or the person that you identify with and see if things need to be addressed. 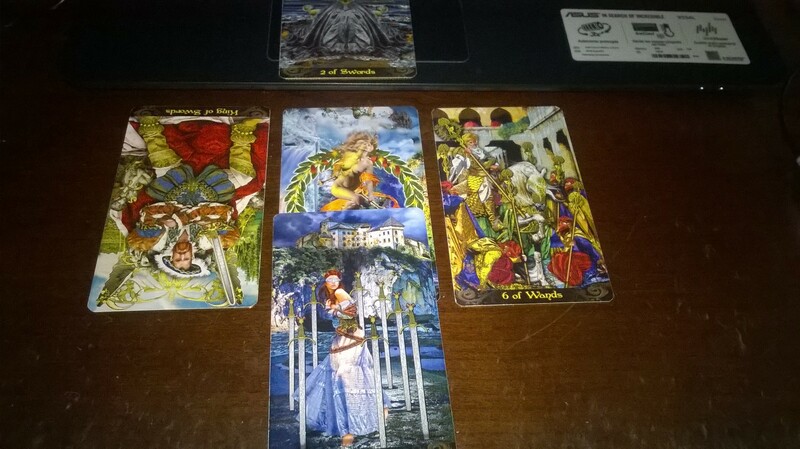 At the moment, things do not seem to be clear and is not the best time to make any decisions. Your perspective seems to warp your reality and you are finding it difficult to see clearly. Take the time to sort out your feelings in the matter, and you will know what is the next step for you when the time is right. This card represents either yourself or someone you can identify with that is pushy and controlling. 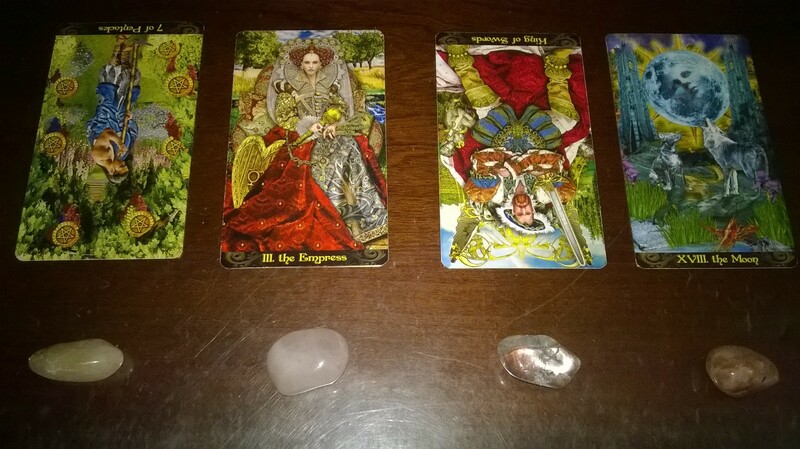 The reading is suggesting to look at those characteristics and sort out any issues with these traits or people that possess these traits. There may need to be a re-evaluation or your own character or the relationship with this person. This card shows that you possess both inner and outer strength. Many people have only outer strength, but to also have inner strength is a blessing! You have strength of character and perseverance. Use this to your advantage today in what you plan to set out to do. 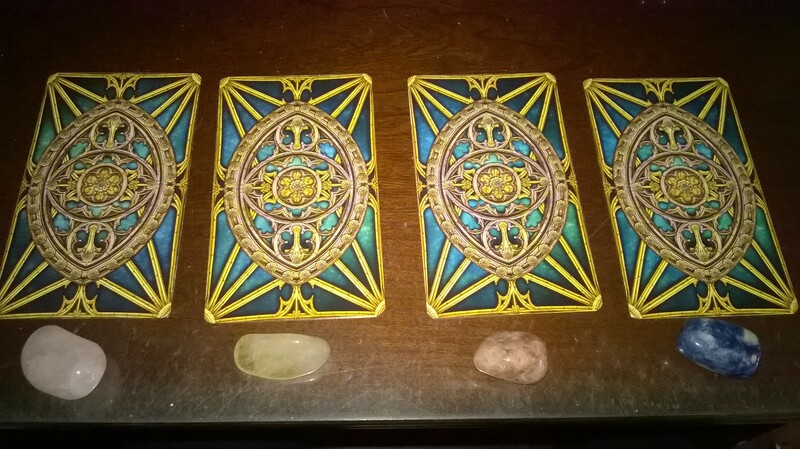 The Lovers card could mean new love, but also harmony and balance in this relationship or in any other part of your life. Being true to yourself and gaining clarity on who are as a person and what you want in life. This card calls you to look at your life and see if your areas in life are following the path of your true self. This card represents something that has to happen in order to change. This could be something that may be a failure or disaster, but know that this is necessary for you to have a new beginning. Sometimes we need to go through things that are difficult to get to the happy day. Surrender and let go and let the storm pass. A new beginning will emerge. You have been working hard and this card shows that you will be doing a final push, or last challenge before you obtain the success. Don’t give up and keep going! You have been through a lot and have felt an ending, and I see you’ve been in dark times. This is the time now that the clouds are lifting. You are working out lessons from the experience you had, and no longer see things as negative from that experience. You are starting to awaken from wanting to give up, and finding new strength you never thought you had. Start this new chapter by thanking the past and discovering what lies ahead for you! This card would either represent yourself or someone you know typically male. This person is negative materialistically, either they are very showy of what they own, or they expect to be treated as royalty in their home or other place. 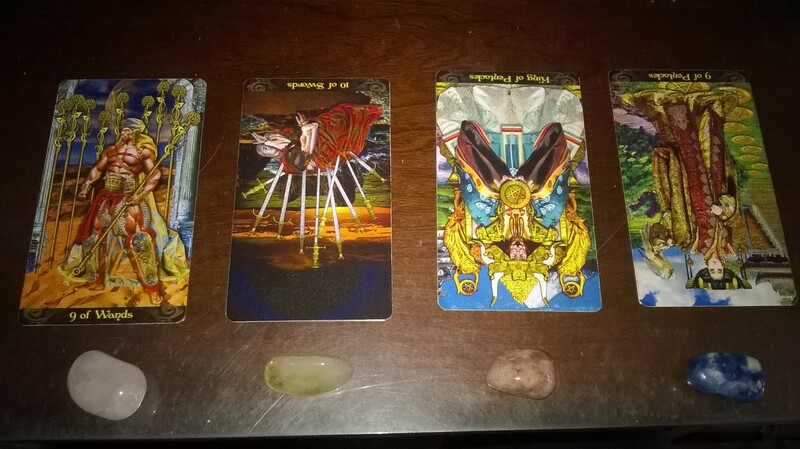 This card is asking you to identify with this person and see what are the reasoning for these actions and if they need to be addressed or not. You are experiencing a setback due to shaky foundation built. Try to backtrack and see where you can reassess what needs to be addressed to reinforce the foundation or to start again. But it will be necessary to look at now than ignore and keep going knowing you may have more work to do later. Backtracking now will save you pain later.